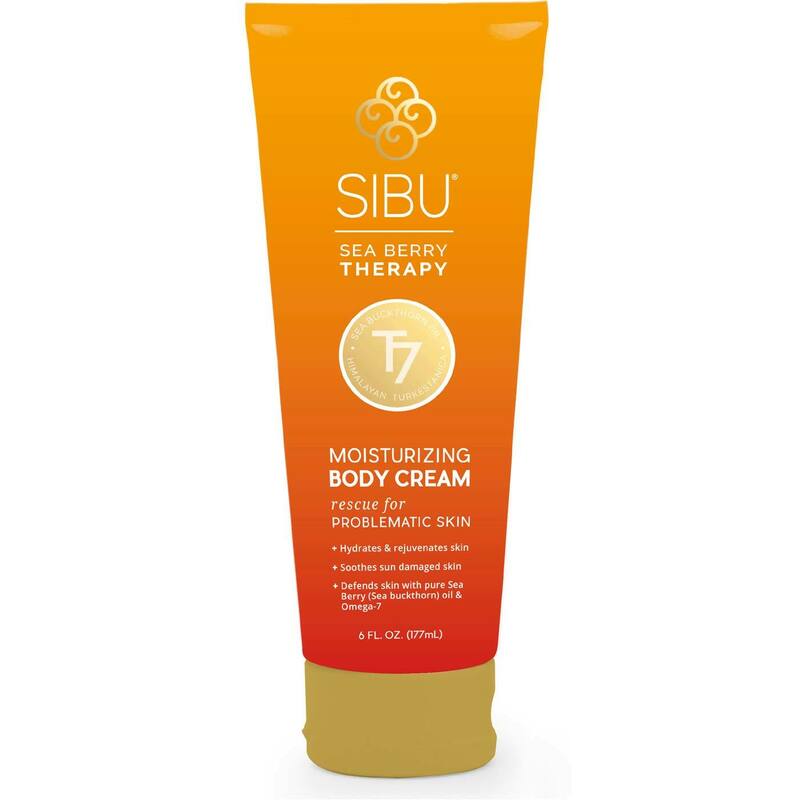 Sibu Beauty Moisturizing Body Cream is made from natural sea buckthorn for the softest touch. Notes: With wild-crafted, Himalayan sea buckthorn. Ingredients: DI Water, Caprylic/Capric Triglyceride, Glycerin, Cetearyl Alcohol Glycerin, Sodium Levulinate, Sodium Anisate, Polyglyceryl-10 Pentastearate, Behenyl Alcohol, Sodium Stearoyl Lactylate, Hippophae Rhamnoides (Sea Buckthorn) Seed Oil, Behenyl Alcohol, Hippophae Rhamnoides (Sea Buckthorn) Fruit Pulp, Fragrance (orange / lemon essential oils), Hippophae Rhamnoides (Sea Buckthorn) Fruit Oil, Meadowfoam Seed Oil, Shea Butter, Aloe Barbadensis Leaf Juice, Xanthan Gum, Olea Europaea (Olive) Fruit Unsaponifiables, Sodium Phytate, Panthenol. Recommended Use: Apply liberally to hands and body to soothe, soften and moisturize skin.